Order 10 cubic yards of mulch or more and get FREE delivery in Lancaster County. 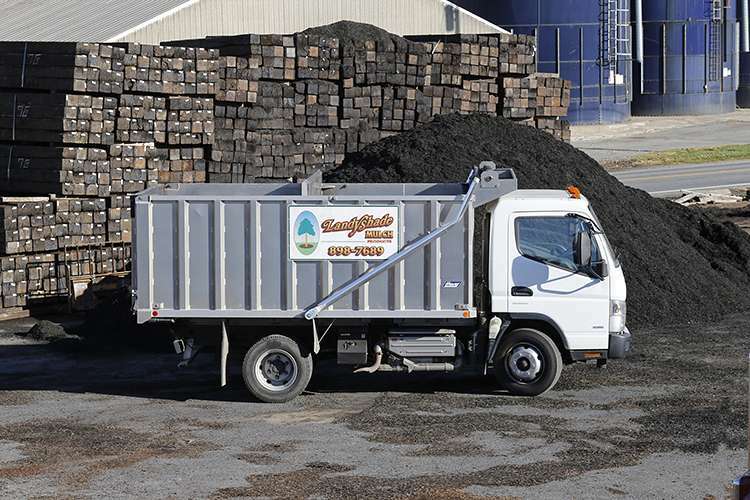 A standard delivery charge for mulch products depends on quantity and distance. Two cubic yards is required for delivery, but all are products are available for pickup. option of receiving two products at one delivery (products remain separated). Standard delivery charge for all screened topsoil and railroad ties. We serve Lancaster and York counties. We do most same-day or next-day delivery. All of our products are sold by the cubic yard/scoop. To get a perspective on how much a cubic yard is, consider that the most common size of bagged mulch is 2 cubic feet. One cubic yard of mulch is equal to 13.5 bags of mulch. Call one of our friendly staff members for a price quote, for answers to your product questions, and to schedule a day for delivery. We offer quantity & landscaper discounts. Please call (717) 898-7689.